jes is using Smore newsletters to spread the word online. Gravity is a force of attraction between two objects. All objects with mass have gravity. Gravity acts like a magnet - pulling objects together. What causes gravity is not really known. The Earth has gravity. Gravity holds everything close to this planet. Trees, water, animals, buildings, and the air we breathe are all held here by gravity. All of the planets, the stars and the moons of the universe have gravity. Even our own bodies have gravity. The Earth's gravity is far stronger than our own so we don't notice the gravity our bodies possess. So how do astronauts float in space if the pull of gravity is so strong? Astronauts don't actually float. They are being pulled by the Earth's gravity just the same as the rest of us. But they are also orbiting the Earth, or moving sideways. This is known as centrifugal force. This sideways movement actually is pulling them away from the Earth at the same time that the Earth is pulling them down, so it appears as if they are floating. Because Mars has a lower gravity than Earth, a person weighing 200 pounds on Earth would only weigh 76 pounds on Mars. 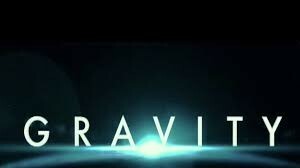 Gravity was discovered 3 centuries ago by a mathematician and physicist named Sir Isaac Newton. He discovered that there is a specific force,which we call gravity, that is required to change the speed or direction of something that is moving. This same force he figured must cause apples to fall from trees! After researching this hypothesis he wrote the law of gravity. This law is a mathematical explanation for the way that things attract based on experiments and observations. why do we need gravity? Gravity brings us back down to the ground when we jump up. It stops us from floating into space. Gravity keeps our food on our plates and our drinks in our glasses. Gravity keeps the Earth in orbit around the sun and keeps us warm. 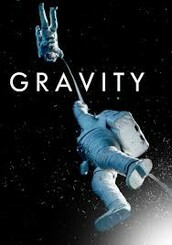 Gravity also keeps the water on the Earth, the inhabitants on Earth, and the Earth's atmosphere in its place. Gravity pulls rain and snow down to our rivers.